In Hodgkin’s lymphoma, cells in the lymphatic system grow abnormally and may spread beyond it. Hodgkin’s lymphoma is one of two common types of cancers of the lymphatic system. The other type, non-Hodgkin’s lymphoma, is far more common. Advances in diagnosis and treatment of Hodgkin’s lymphoma have helped give people with this disease the chance for a full recovery. The prognosis continues to improve for people with Hodgkin’s lymphoma. Chronic lymphocytic leukemia: Chronic lymphocytic leukemia (CLL) is a type of cancer of the blood and bone marrow — the spongy tissue inside bones where blood cells are made. Cutaneous B-cell lymphoma: Cutaneous B-cell lymphoma is a rare type of cancer that begins in the white blood cells and attacks the skin. Cutaneous B-cell lymphoma begins in the B cells — one type of disease-fighting white blood cells called lymphocytes. Cutaneous T-cell lymphoma: a rare type of cancer that begins in the white blood cells and attacks the skin. Cutaneous T-cell lymphoma is one of several types of lymphoma collectively called non-Hodgkin lymphoma. Lymphoma: Lymphoma is a cancer of the lymphatic system, which is part of the body’s germ-fighting network. Physical exam. Your doctor checks for swollen lymph nodes, including in your neck, underarm and groin, as well as a swollen spleen or liver. Removing a lymph node for testing. Your doctor may recommend a lymph node biopsy procedure to remove all or part of a lymph node for laboratory testing. Advanced tests can determine if lymphoma cells are present and what types of cells are involved. Blood tests. Blood tests to count the number of cells in a sample of your blood can give your doctor clues about your diagnosis. Removing a sample of bone marrow for testing. A bone marrow aspiration and biopsy procedure involves inserting a needle into your hipbone to remove a sample of bone marrow. The sample is analyzed to look for lymphoma cells. Imaging tests. Your doctor may recommend imaging tests to look for signs of lymphoma in other areas of your body. Tests may include CT, MRI and positron emission tomography (PET). Active surveillance. Some forms of lymphoma are very slow growing. You and your doctor may decide to wait to treat your lymphoma when it causes signs and symptoms that interfere with your daily activities. Until then, you may undergo periodic tests to monitor your condition. Chemotherapy. Chemotherapy uses drugs to destroy fast-growing cells, such as cancer cells. The drugs are usually administered through a vein, but can also be taken as a pill, depending on the specific drugs you receive. Radiation therapy. Radiation therapy uses high-powered beams of energy, such as X-rays and protons, to kill cancer cells. Bone marrow transplant. A bone marrow transplant, also known as a stem cell transplant, involves using high doses of chemotherapy and radiation to suppress your bone marrow. Then healthy bone marrow stem cells from your body or from a donor are infused into your blood where they travel to your bones and rebuild your bone marrow. 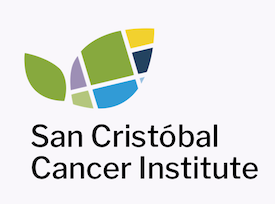 If you’d like to learn more about Hodgkin’s Lymphoma through our San Cristóbal Education Resources, attend our events or learn about our Cancer Center, please contact us.